Democrats backed down from their demand for tight limits on the number of detention beds Immigrations and Customs Enforcement could use to detain undocumented immigrants, pulling away from a push that led to a breakdown in talks over the weekend. Negotiators felt the deal would prove sufficient to fund all government operations through the end of the September, potentially removing any more shutdown threats for the remainder of the fiscal year. House Appropriations Committee Chairman Nita M. Lowey (D-Calif.), who was in Monday’s meetings, said she hoped the negotiators would have a finished product by Wednesday. She said she ran the proposal by House Speaker Nancy Pelosi (D-Calif.) and she signed off on it. Shelby, Lowey, Sen. Patrick J. Leahy (D-Vt.) and Rep. Kay Granger (R-Tex.) participated in the Monday meetings. The lawmakers are on a bi­partisan conference committee charged with striking a border security deal. The White House and Republicans eventually backed down, agreeing last month to a short-term spending bill for a number of agencies that was meant to give congressional negotiators more time to reach a longer-term deal. Negotiators had made steady progress but ran into trouble over the weekend. The White House had largely signaled to Republicans that it would soften its demand for $5.7 billion in wall money, convinced it could use other legal maneuvers to redirect existing funds. Instead, discussions bogged down over disagreements about how many undocumented immigrants could be detained at once. Republicans wanted flexibility in detention rules, arguing they needed to be able to adjust to account for violent criminals and others. Democrats countered that the changes Republicans sought would give the White House almost limitless powers to detain as many people as they wanted. Trump has readied a plan to declare a national emergency on the southern border, which he believes will allow him to redirect taxpayer money from other projects to build parts of a wall — without approval from Congress. The Monday meetings came at a pivotal time. Trump traveled to El Paso for a rally Monday evening, and he is expected to restate his case for tougher immigration rules. Republicans in Congress have tried to avoid Trump’s hard-line rhetoric during negotiations, but his support is crucial for a final deal. Unlike in the fight over billions in funding for a border wall, which a majority of Americans oppose, Republicans say they are on strong political ground if the debate becomes centered on whether ICE has free rein to detain convicted or suspected criminals. During the last government shutdown, 800,000 federal employees went without pay. 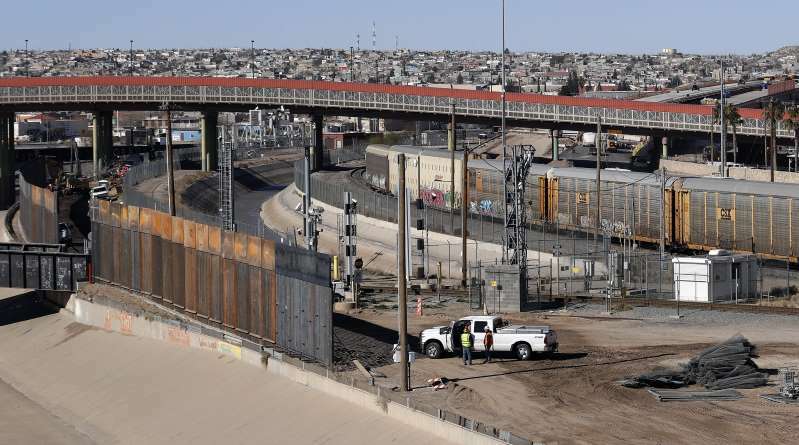 At the beginning of talks, lawmakers looked for ways to avoid conflict over Trump’s demand that $5.7 billion in taxpayer money be used to build parts of a wall along the border with Mexico. Lawmakers were discussing sums between $1.3 billion and $2 billion, far short of Trump’s initial demands. The White House recently signaled to Republicans that it could accept smaller sums, because it believed it could legally take money from other accounts to build the wall. Moving money from one account to another could be challenged in court, but top White House officials have said they are prepared for legal challenges.